Steam is used in a large number of industrial applications. It is used for automisation, cleaning, moisturising and humidification. However, most of the applications that utilise steam will require some parameter control. Thus, a steam control has become a part of process control engineering. At BM Engineering, we supply a large range of steam control valves to suit a wide range of applications. 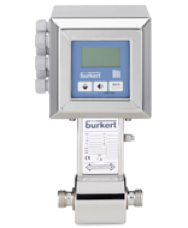 The Bürkert type 8802 enables the easy integration of digital automation modules, whether they are simple positioner basic or high-capacity positioner with optional integrated fieldbus interface. The fully integrated system with control valve and automation system has a compact and smooth design, integrated pneumatic lines, IP65/67/NEMA 4X protection class and superior chemical resistance. Integrated automation with leading technology. High cycle life and maintenance-free operation. Excellent control characteristics, especially angle seat and globe valve. The Valsteam PV25S control valve is a single seated, two-way body constructed with in-line straight connections. Featuring a PA pneumatic actuator with rubber diaphragm and multistring, its action can be direct action (air to close) or reverse action (air to open). PV25 valves have been designed to guarantee an accurate control in any process condition. Their wide application range permits the use of this valve with the most common process fluids such as water, superheated water, steam, air, gas and other non-corrosive fluids. How does a steam control valve work? Steam control valves work by reducing the pressure of inlet steam for process applications. In addition to controlling pressure, steam control valves also control temperature.